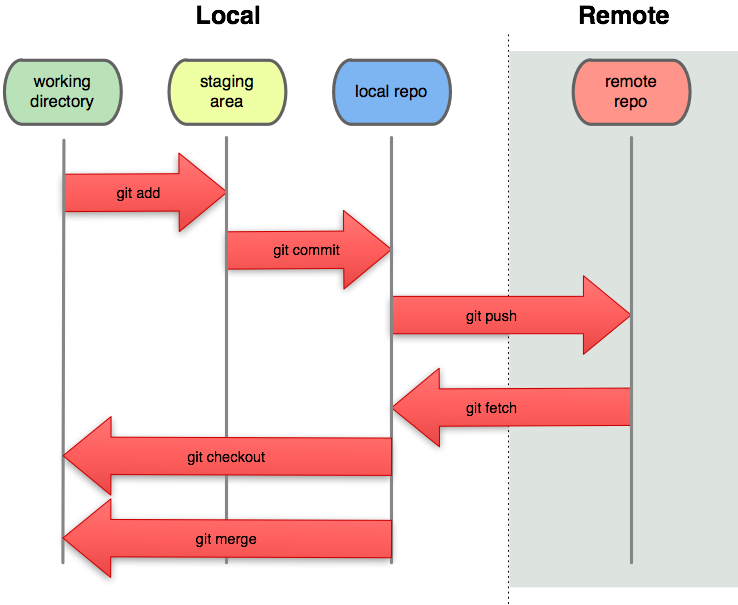 Git is a Distributed Version Control System (DVCS). The main difference with VCS is its distributed form, which means that there is not a single repository centralizing all the code history. All the code history is in each repository, which means that you have all the history in your local repository as well as in the others. you add new or modified files and remove deleted files to your staging repository. when all your changes make sense you commit them to your local repository. now, you can share your modifications whith the rest of the world by pushing them to a remote repository. to get others' modifications pull or fetch them from a remote repository. For more information how to use Git, please visit the Git Reference web site. Silverpeas is a free and libre project that values meritocracy. In code we believe! later split your own modifications and submit them back to us. Silverpeas's code is hosted on public Git repositories on GitHub, so that everybody can participate and contribute to the Silverpeas project. The Github features enhance the capabilities of a collaborative and distributed work. First, you have to create your account on Github, then fork the Silverpeas repositories you are interested in. Silverpeas Dependencies that is a global descriptor defining all the dependencies with their version and their scope required to build and to run Silverpeas. Usually, you won't have to modify this project. Silverpeas Test Dependencies that is a global descriptor defining all the dependencies with their version required to run the unit and integrations tests. Usually, you won't have to modify this project. Silverpeas Project that is a global descriptor for many of the Silverpeas projects: it imports the descriptors above and defines plugins and profiles to build Silverpeas according to different contexts. Usually, you won't have to modify this project. Silverpeas Core in which are defined the Core APIs of Silverpeas for both the business part and the Web part. Silverpeas Assembly is a project that declares all the components that made up the Silverpeas collaborative platform and that defines the rules to build from them the final Silverpeas application, ready to be deployed into a JEE runtime. In order to keep your fork up-to-date, you will have to pull modifications from the Silverpeas repository. Thus, you have to add a remote repository to your git configuration linking your local repository to the Silverpeas one. The recommended name (used afterwards in he documentation) is silverpeas. The rebase operation while synchronizing your local repository with Silverpeas is to ensure your changes will be on top of the fetched modifications and hence they won't be mixed with external commits. By doing this, when we'll merge your changes, the history of Silverpeas changes will be clean and understandable. a dependency management by using both a local and a remote repository in which the dependencies (named artifacts) are available. In order to build the Silverpeas application, you have to build first Silverpeas-Core and then Silverpeas-Components. If you have modified silverpeas-dependencies-bom, silverpeas-test-dependencies-bom, Silverpeas-Project, you have to compile first this project before anything. In the case you have added a new application, you can reference it into the POM of the Silverpeas-Assembly project. Beside the unit and integration tests, you can test functionally your code in Silverpeas by installing it with your changes. and the archives will be generated into the target directory of the project. Then just extract it, set correctly the environment variables SILVERPEAS_HOME and JBOSS_HOME and follows the instructions in the Silverpeas installation page. Now that you have your own repository, let's create a branch to develop some code in it. The branch name should reflect the development feature or bug you are working on. It exists two main ways to handle the local and remote branchs with Gits. When all your modifications are commited, it is time to push them to your remote branch. Now that your development is ended, you may want to integrate it into Silverpeas. To do this we take advantage of Github's "Pull Request" feature. On receiving your pull request, the Silverpeas core team will look into it and may give you some remarks. When your code is accepted it will be merged into Silverpeas master branch and you will be informed of this. Don't forget to synchronize both your repository and your fork with Silverpeas's in order to be up to date. We'll be pleased that you do it before any pull requests. Your development branches for the integrated code are now obsolete, so you may want to delete them.